City's International Politics and Sociology BSc is a joint degree that offers a broad understanding of both subjects with a special focus on how the local and the global relate to each other. This course is for those students wishing to benefit from a joint degree combining main core modules of both International Politics and Sociology. Graduates of this course have found they are well suited to a wide range of career options, from the Civil Services, NGOs, journalism, and teaching to international organisations and the corporate sector. This joint honours undergraduate degree combines key sociological and political perspectives for the understanding of local, national and global social relations, identities and structures. It will equip you with sophisticated critical thinking as well as rigorous quantitative and qualitative social sciences skills that are going to be highly valuable in your future profession, whether in the public, private or corporate sectors. The International Politics element of the degree enables you to obtain the skills and knowledge to answer the many questions about our fast-changing world. You will also gain an understanding of important theoretical debates, global political systems and policy making. As well as developing strong research skills, you will have the option to further your data skills through a Quantitative Methods (QM) pathway for your final two years of study. The Sociology element examines the organisation of contemporary societies and explores the opportunities and structural inequalities that define our everyday lives. You will have the chance to study topics such as culture, identity, and class, and gain an appreciation of the complex interplay between local and global forces, with particular reference to life in the 21st century metropolis. This course will develop your critical thinking and skills in the analysis, interpretation and production of social data. GCSE English Language and Mathematics or Statistics at grade 4 (C) (or equivalent) are also required. 30 points (no specific subjects required). Please note: For direct second-year entrants the overall degree classification will be based on the marks obtained at City University London only, with the weighting of 33/67 between the second and third year. Marks previously obtained will not be used in the degree classification. You can apply to up to five universities on the form. The UCAS code for City University London is C60. UCAS has implemented an ‘invisibility of choices’ policy so that, on the initial application and while you are receiving decisions, each university can see only their entry and not those of other universities you have chosen. This ensures that your application for a course at City is considered solely on your academic and personal qualities. You should submit your completed application form to UCAS with a £23 application fee. If you want to apply to City University London only, you can make a single choice application at a reduced rate of £12. Your application for entry in September 2019 should arrive at UCAS between September 2018 and 15th January 2019. Applications that arrive after 15th January 2019 will be considered only at the University’s discretion. core modules of both Sociology and International Politics degrees. As a student on this course you can choose to undertake a work placement for one year between your second and third years'. The degree awarded is a BSc (Hons) International Politics and Sociology with Integrated Professional Training. This degree may offer opportunities to study abroad. Lectures provide commentary on and explanation of key content areas. Small group seminars develop your understanding by inviting you to raise questions and participate in the debate and by providing guidance for further study. Year one lays the conceptual and historical foundations for the study of international politics and sociology. In the following two years you will build up specialist knowledge in how specific actors and institutions operate, how the ideas that shape global politics emerge and are contested, and how political and social dynamics affect issues and regions. The Sociology element gives you the opportunity to study topics such as: Class and social mobility, 'race' and ethnicity, gender, culture, migration, media, and crime and criminology. The first year introduces competing theories of international politics and global political economy and how power has transformed in the 20th and 21st centuries. You will also receive a wide-ranging grounding in qualitative and quantitative approaches to sociology. The second year offers one core theory module on international relations, an extended essay, an introduction to qualitative and quantitative methods and a range of elective modules provided by the Departments of International Politics and Sociology. The final year includes a project on an international politics or sociology topic of your choice. You can also select electives from a range of International Politics and Sociology modules. Assessment is by coursework (assessed essays and assignments), unseen examinations and a final year project. The London Borough of Islington. 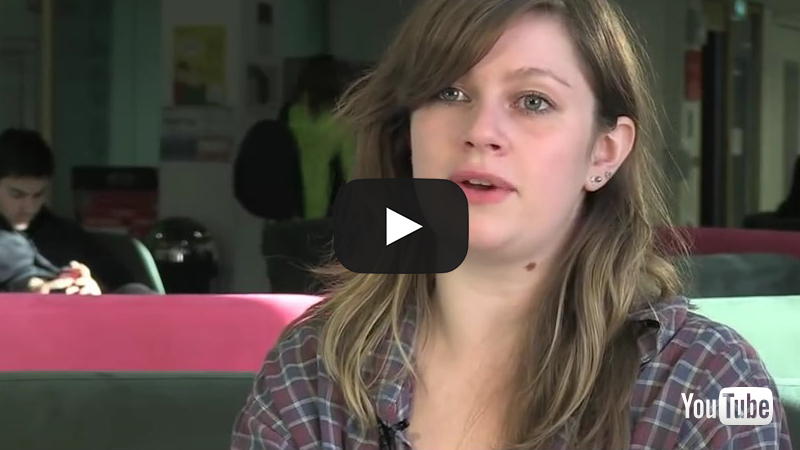 Find out how studying at City University London helps you to improve your job prospects.